The end of 2018 is upon us and it's time to ring in the New Year! If you prefer to celebrate locally on Long Island's North Shore, here are some of your options. Scroll to the bottom for New Years Brunches! Whatever you choose to do...have fun and be safe! Happy New Year! May all your dreams come true in 2019 and may you always feel lucky to live here! Mill Pond House - 437 East Main Street - Price-fixed 3 course dinner including appetizer, salad and entree. Stay till midnight and enjoy complimentary champagne and noise makers. Call for details and reservations 631-261-7663. 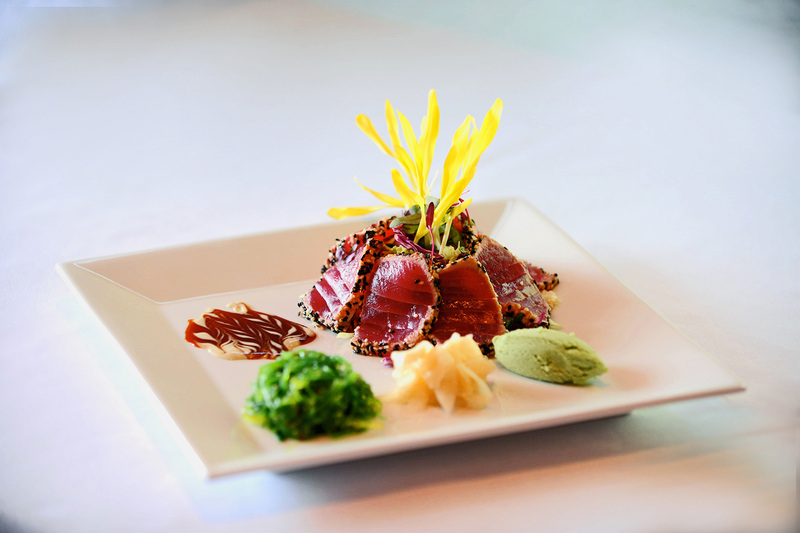 Ruvo of Greenlawn- Special price fixed three-course menu Call 631.261-7700 to make reservations. Harbor Mist - 105 Harbor Rd - Take in the harbor side charm of Cold Spring Harbor with incredible views from the second floor. 631-367-3166. Sandbar- 55 Main Street- Celebrate in this beautiful restaurant with a special New Years Eve a la carte menu. Make your reservations early- 631-498-6188. The Paramount - 370 New York Avenue - Back to the Eighties Show with Jessie's Girl. Call box office for tickets 631-673-7300. Piccolo- 215 Wall Street- Classic, cozy & absolutely delicious. Offering three course price-fixed menu. Stay till midnight to have complimentary champagne and noise makers. IMC Restaurant- 279 Main Street- Prix-fixe menu from 4-6pm and regular dinner menu all night. Call for reservations 631-824-6222. Kashi of Huntington- 12 Elm Street- Gold ticket includes prix fixed 4 course dinner & Silver Ticket to celebrate the night. Live Music & Premium open bar for both. Call for reservations 631-923-1960. Finleys of Huntington- 43 Green Street- New Year Dance Party featuring Dj Lexx. Contact 631-351-3440 for more info including any cover charges. Jonathans Restaurant - 15 Wall Street -Will be offering their regular menu along with specials. Last dinner seating will get to ring in the new year with a complimentary champagne toast. Reservations recommended 631-549-0055. Rust & Gold- 70 Gerard Street- New Years Eve Bash like no other featuring happy hour all night, hors d'oeuvres and no cover! 631-629-4431. Serving up their regular menu and special NYE menu will spice up your NYE night. Early bird specials from 4:00-6:30. Reservations set for 9:30 or later are able to keep their table for the night and enjoy a four course menu. Dance the night with the DJ and enjoy complimentary toast and party favors to ring in the new year. Make your reservations early- 631-421-6900. Macs Steakhouse- 12 Gerard Street- Designed for two this special price fixed $120 dinner includes appetizer, salad course and entree. Call for reservations 631-549-5300. The Shed- 54 New Street- NYE specials including chilean sea bass, NY Strip and Dinner For Two with filet's & lobster tails. Call 631-385-SHED to make reservations. Crest Hollow Country Club- The Crest Hollow turns to Club 2019 for a unique lounge experience to ring in the new year. $125pp includes- Exclusive tented lounge & LED bar, premium liquor, chef's table buffet, dance all night with DJ Giovanni and red carpet photos & midnight countdown. Call for reservations early- 516.692.8000. H20- 215 W Main St, Smithtown, NY 11787- 631-361-6464. Four Course dinner celebration for $75 and music from 9pm-1am by Dan Hill. Fox Hollow- 7725 Jericho Turnpike, Woodbury, NY 11797- 516-921-1415. Ring in 2019 at the Fox Hollow with 3 types of parties- the Somerley Gala (recommended for 40+ over) 7:30-1AM, the Garden Terrace Gala (recommended for under 40) 8PM- 1:30AM and the Winter Garden Late Night Party 10PM-2AM. Overnight packages available as well. Order tickets online or contact 516-224-8100 for more info. Hendricks Tavern- 1305 Old Northern Blvd, Roslyn NY- 516-621-1200 is offering a prix fixe dinner. Price includes open bar, cocktail hour with hors d'oeuvres, sit down dinner, dancing and midnight champagne toast. Jewel- 400 Broadhollow Road (Route 110), Melville, NY 11747- 631-755-5777. Televised ball drop, party favors, dj & dancing and prix fixe menu rounds out your night at Jewel. RARE 650- 650 Jericho Turnpike, Syosset, NY 11791- 516-496-8000. Full a la carte menu, chef specials and DJ starting at 9pm. Complimentary champagne toast, hats, noisemakers and balloons. Milleridge Inn- 585 North Broadway, Jericho, NY 11753- 516-931-2201-Ring in the New Year with Style! The Mystic performs, premium open bar, cocktail hour, prix fixed meal for $150. * Bohlsen Restaurant Group restaurants - Prime (NY & CT), H20 (East Islip & Smithtown), Verace, Tellers & Monsoon are all offering New Years Eve events. * Anthony Scotto Restaurants- Blackstone, Insignia, One North & Rare 650 are all offering New Years Eve events. Ruvo of Greenlawn- Regular brunch menu for $16 with one complimentary mimosa, bloody mary or screwdriver. Bottonless drinks for an additional fee. Call 631.261-7700 to make reservations. Sandbar- 55 Main Street- Enjoy Sandbar's a la carte Brunch menu to start your year off right. Call 631-498-6188 to make reservations. The Shed- 54 New Street- Celebrate New Yorks with 2 days of brunches. Specials include fruity pebble french toast & chorizo eggs benedict. Call 631-385-SHED to make reservations. Milleridge Inn- 585 North Broadway, Jericho, NY 11753- 516-931-2201- All you can eat buffet to celebrate! Interested In Receiving An Email With Area Events?